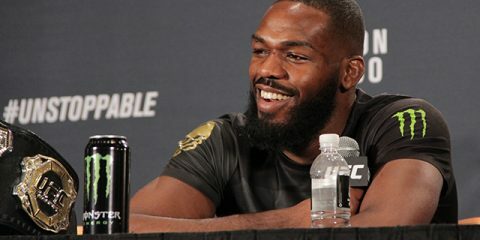 To call the events of Friday surrounding UFC 223 a complete shitshow would be an understatement. Combat Press writer Rob Tatum summed up how the UFC should react to Conor McGregor’s outburst, and he’s completely right. It’s one thing for a fighter to be over the top in terms of his antics, but McGregor’s actions put the safety of numerous fighters at risk and significantly altered the lineup for the entire UFC 223 pay-per-view. 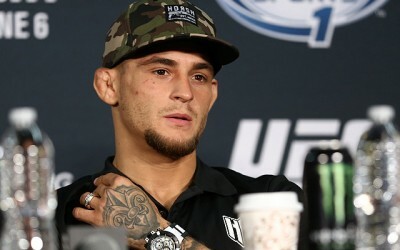 And speaking of altered lineups, bar owners/managers really need to learn the difference between a lineup change and a “canceled main card.” Just because Khabib Nurmagomedov had a change of opponents, that doesn’t mean the event is off or that UFC fans are going to lose interest completely. Furthermore, if you’re an establishment that has set a precedent of showing fights, you should also have the courtesy to post a sign informing fans, especially your regulars, when you’re not going to show them. Al Iaquinta might have lost to Nurmagomedov in the evening’s main event, but he could also be considered one of the evening’s biggest winners. 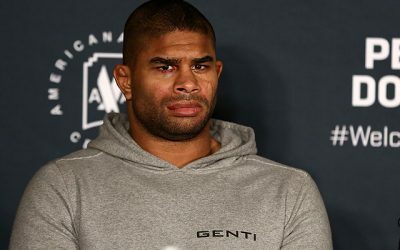 The UFC mainstay has been flirting with top-10 consideration for a while now, and his spot within the top 15 was enough to get him into the headlining bout. 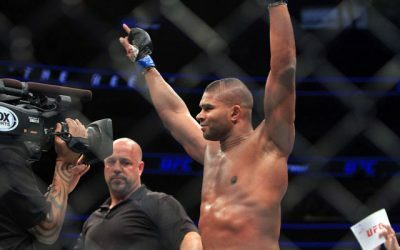 However, it was his ability to hang in there for five rounds with a beast like Nurmagomedov that should really earn Iaquinta some respect. Sure, the scores were lopsided in favor of Nurmagomedov, but how many people thought Iaquinta would make it to the final bell? Given her proximity to McGregor’s bus attack, Rose Namajunas’ ability to stay focused and defeat Joanna Jędrzejczyk for a second time was inspiring. Namajunas silenced any doubters with her performance in the UFC 223 co-headliner. Namajunas’ ability to enter and exit on angles separates her from most mixed martial artists whose entries and exits are simplistic and redundant. Her ability to use angles efficiently and spontaneously was the single biggest factor that allowed her to beat Jędrzejczyk both times. Her power, length and athleticism all get neutralized if she doesn’t have the footwork to make the most of her physical tools and attributes. Leg kicks are not Namajunas’ friend, though. Whether she thought it an acceptable risk or not, her inability or unwillingness to check or limit kicks can most definitely hinder her in the future. Her willingness and ability to move lightly, quickly and efficiently is her biggest strength in the strawweight division. If she is going to maintain her hold over the weight class, then she can’t allow opponents to limit her pace, movement and offensive effectiveness with leg kicks, especially if she’s dealing with fighters who will press for and punish her in the clinch. Namajunas had a chance to quit in the fight. Instead, she dug deep, hung tough and came out gunning in the championship rounds, punctuating her winning performance with a late takedown to seal the fight. The Namajunas of a few years ago seemed to lose when her opponents decided they weren’t going to cave to her. This newer version of Namajunas has unleashed the talent, creativity and skill that the earlier version of the fighter only flashed on occasion. It’s also time to consider Namajunas as one of the better boxers in MMA. It’s hard to think of too many fighters with better footwork, distance management, feints, head movement, jabs, counters and punch selection. Meanwhile, Jędrzejczyk is terrible on the lead. Not only is she somewhat inaccurate, but she is not particularly great at cutting down space, nor is she particularly defensively adept when coming forward. When she leads, she gets hit a lot. Part of her downfall against Namajunas was the fact she had to lead, and when she did lead, she was made to pay for it in both fights. The return fire from Namajunas was consistent in its frequency and severity. Jędrzejczyk leans on her volume heavily. It acts as a line of defense — for every three an opponent throws, Jędrzejczyk replies with six or seven — essentially warding off her opponents from pressing the attack, because they know they are going to get touched twice as much every time they attempt to touch her. Fighters become defensive and limit their output if they don’t outright stop throwing shots while looking to get away from Jędrzejczyk. The former champ can get lax in her all-around defense and use only her movement, since the majority of her opponents either stop trying to throw well-executed or setup strikes or they are so exhausted by the pace and activity that they are left with only loaded shots or desperation takedown attempts. When an opponent can counter, then the holes in Jędrzejczyk’s defense become very apparent. Jędrzejczyk doesn’t have fight-altering power. If she did, then she would have destroyed all of her opponents in the UFC. When a fighter has real power, they don’t ever get to throw and land the volume Jędrzejczyk throws. Jędrzejczyk breaks down her opponents under a tidal wave of strikes of varying types aimed at varying targets. In doing so, she exposes herself to being countered and hurt. Namajunas made her pay the ultimate price for it. The Polish fighter’s jab isn’t great, either. She either circles or backs up, knowing her opponents will either stalk her, barrel in, or attempt to strike their way in to get a takedown or force her to the cage. Jędrzejczyk doesn’t throw the jab at the person, but rather throws it in space and lets her opponent’s pressure and urgency determine where and how hard they get hit. She has a general target, of course, but when she is leading, as highlighted in her two fights with Namajunas, she is somewhat inaccurate and ineffective with the jab. When an opponent is looking to take space away, her jab shines. This is in large part because she attacks the space she creates and lets the opponent who fills it create the collisions. Kyle Bochniak’s choice to drop his hands and take punches from Zabit Magomedsharipov wasn’t the wisest idea, but it’s that kind of crazy fighter that makes for a wonderfully entertaining fight. Rightfully so, Bochniak and Magomedsharipov earned “Fight of the Night” honors. Ashlee Evans-Smith is going to be a problem at flyweight. Technically, she is very limited, especially on the feet. Her striking is equal parts predictable and clumsy, on top of being rather slow and non-dynamic. Her wrestling is good, as is her overall grappling, but there are reasons why she only went so far at bantamweight. Her skills were underdeveloped and relied heavily on her attributes (physicality, pace, strength and durability). 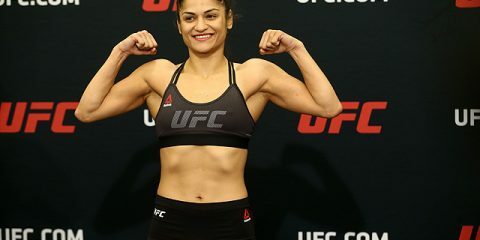 When she couldn’t bully or control her opponents, she was decidedly less effective in wins — the split decision against Marion Reneau — and essentially handled in losses against Ketlen Vieira, Sarah Moras and Raquel Pennington. At flyweight, Smith’s size, length and durability will mask defensive deficiencies, as well as lack of offensive creativity and crisp technique. She will have a larger margin for error that will lessen the penalty for technical gaffes and strategic missteps. It will also enhance the effectiveness of the (limited) skills and (simple) approach she has in fights. If Evans-Smith shows she can maintain the pace highlighted on Saturday and uses a style that plays to her advantages, then she could very well be on her way to a title run and a renewed career in this still developing UFC weight class. Smith’s opponent, Bec Rawlings, is still the same one-dimensional fighter who is not particularly skillful or technical even in that one dimension. However, Rawlings has shown poise, restraint and a better situational awareness. The old Bec would have started fast, hopping around, firing quick, stalking and trying to force a pace and place of combat to her liking; she would have started to slow halfway through the first round, before gassing in the second and going from limited-but-experienced competitor to a heavy bag with arms; she would have been beaten up, outworked, bullied and taken down on the way to a one-sided decision loss. This new Bec showed situational awareness. She recognized her opponent was bigger, stronger, hit harder, and was better conditioned, so she limited exchanges, circled away and did just enough to keep from being completely overrun. Rawlings allowed Evans-Smith to start fast and show her hand in regards to combinations, timing and strategy. Little by little, Rawlings attacked the body, began to time and counter with the right hand, was able to hold her own in clinches, and took wrestling out of the equation. Rawlings couldn’t win the fight, though. She didn’t strike enough or with enough variety, and she was forced to fight off the back foot. Rawlings did finish the fight better than she started it, however, and she had spots where she could have gained control of the fight. This is a victory in and of itself for Rawlings. Of course, Bellator also had a card this weekend. It went largely unnoticed, since everyone was buzzing about McGregor’s antics and subsequent arrest, plus the last-minute changes to Nurmagomedov’s UFC 223 opponent, but Bellator 196 did play host to six fights in Budapest, Hungary, on Friday night. So much for Roger Huerta’s return to the big show. Benson Henderson submitted his fellow UFC veteran in the second round of the Bellator 196 main event. 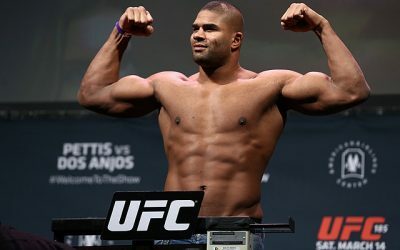 Perhaps it would be better if Bellator head Scott Coker continued to unearth homegrown talents in Bellator, rather than digging into the vault of past-their-prime UFC castoffs. Coker could find some of that talent right there on this weekend’s card. Ed Ruth and the evening’s co-headliner, Ádám Borics, both remained undefeated with victories at the show. Ruth is now 5-0, while Borics delivered a big knockout finish to move to 11-0. These guys should take the spotlight more so than Huerta. Titan Fighting Championship is turning out some young studs. Jason Soares moved to 11-0 and claimed the league’s featherweight title on Friday night at Titan FC 49. 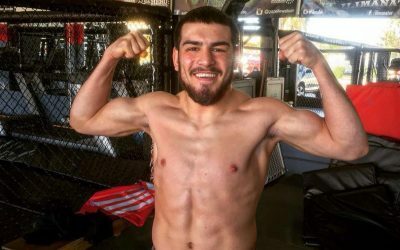 Soares has an inspiring backstory — he survived a motorcycle accident and made an amazing recovery to return to fighting — and seems poised to make the jump to the UFC. Nate Andrews is another fighter who could soon land in the Octagon. Andrews was one of two fighters — Chris Curtis was the other — to win a title at CES MMA 49. Andrews, whose record now stands at 13-1, sunk in a rear-naked choke on opponent Chris Padilla for the second-round victory. Andrews is now the CES lightweight champion. Jéssica Delboni scored another victory at Imortal FC 8. The 24-year-old Delboni topped Liana Pirosin and now holds an undefeated mark through seven fights. The strawweight fighter needs a step up in competition, perhaps under the Invicta FC banner. 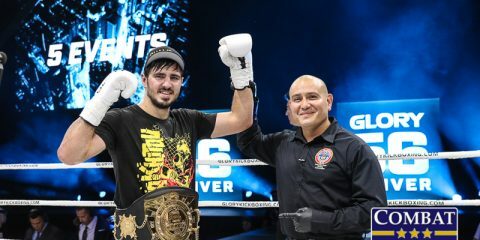 K-1 super welterweight champion Chingiz Allazov was in action at Duel 3 on Sunday. The 24-year-old dismantled Romania’s Claudiu Badoi in under two rounds for his 29th straight victory. The top-10 lightweight is considered to be one of the best pound-for-pound kickboxers in the world. 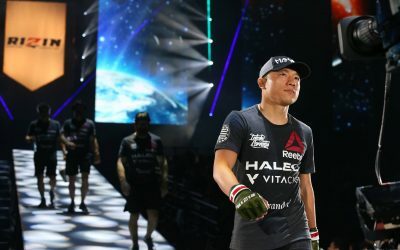 Allazov has won 54 of his 57 professional bouts, with his only losses coming against the elite of the division: GLORY champion Sitthichai Sitsongpeenong and Kunlun Fight tournament champ Marat Grigorian. Fans can only hope Allazov will get the opportunity to test himself once more against one of these high-caliber fighters in the near future. Elsewhere on the card, Bobo Sacko earned a hard-fought decision victory over Lumpinee stadium champion Rafi Bohic, who was coming off a massive knockout victory over Dylan Salvador. The back-and-forth battle featured two of the best Muay Thai fighters from France giving it their all for the victory. Sacko has now won 13 of his past 17 bouts dating back to 2013. Raymond Daniels defended his welterweight title over five rounds against France’s Djibril Ehouo at Bellator Kickboxing 9. 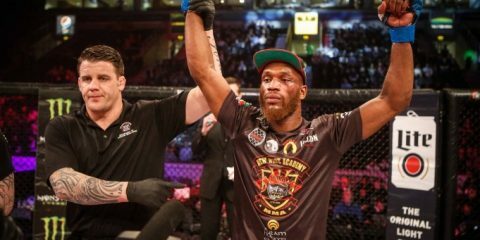 Daniels, 37, seems to have hit his stride since signing with Bellator. He has racked up seven straight wins, including four by way of knockout. It’s time for Daniels to put his high-flying acrobatic style up against a familiar foe: Karim Ghajji. Daniels stopped Ghajji in the first round during their first meeting. However, the bout felt unfinished following a doctor’s stoppage. 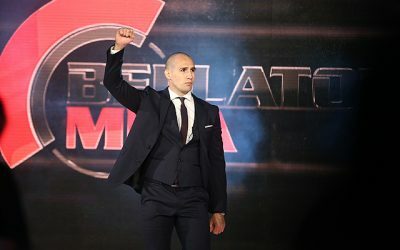 Unless Bellator Kickboxing can sign another high-level welterweight to challenge Daniels, Ghajji is the perfect next opponent. Jorina Baars, the world’s best female featherweight kickboxer, remained undefeated following a second-round stoppage of Greece’s Athina Evmorfiadi. Baars continued her impressive winning streak that spans all the way back to 2005. The Dutch kickboxer has won 44 of her 47 bouts and has never lost in her professional kickboxing or Muay Thai career. The promotion will struggle to find a challenge for Baars. It’s the same problem one of her past opponents, Cristiane “Cyborg” Justino, faces as a mixed martial artist in the UFC. The fighters are in rival promotions, but maybe we’ll eventually get to see a rematch of the highly competitive bout. Until that happens, Baars is likely to dominant her competition in the Bellator Kickboxing ranks. Eder Lopes played spoiler against John Wayne Parr, who couldn’t secure his 100th career victory. The Portuguese fighter shocked Parr and the audience when the scorecards were read. The contentious decision could lead to a rematch down the line, but for now Parr will need to take another fight to reach his much-desired career milestone. Wu Lin Feng 63-kilogram tournament winner Adrian Maxim put on a tremendous performance against top Chinese kickboxer Wang Pengfei to earn an extra-round decision. The Romanian was non-stop with his pressure. By the end of the fourth round, it was clear that he was the better kickboxer. 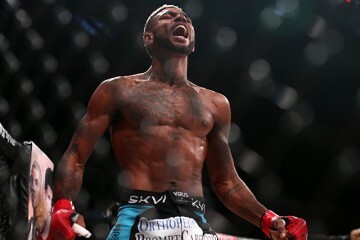 Maxim continues to make his way up the rankings, too — he could even land a spot in the new bantamweight rankings in the Combat Press Kickboxing Rankings in May. Speaking of ranked fighters, top-10 featherweight Yang Zhuo picked up his 13th straight win against Romania’s Alex Bublea. China’s Meng Qinghao and Jin Ying picked up big victories over GLORY veterans Antonio Gomez and Arthur Sorsor, respectively. Top-ranked women’s bantamweight Wang Cong earned her 17th career victory over France’s Marion Montanari, who had previously only lost once in her 30-fight career. The United Kingdom’s Marley Zwanenberg won the Muay Thai Grand Prix super middleweight title against James Benal at MTGP Presents Lion Fight 41 in London. 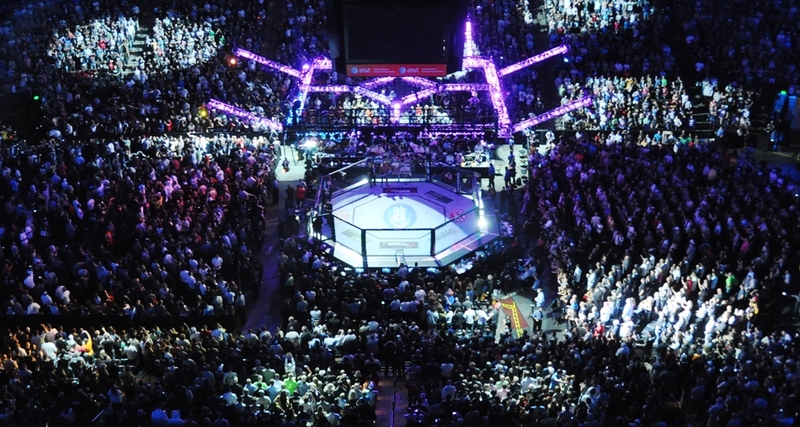 The Thai fighters earned big victories on the card. Saemapetch Fairtex knocked out popular English fighter Charlie Peters in the fourth round to win the MTGP welterweight title and Jo Rittijak took out top French fighter Hakim Hamech by unanimous decision. Jarrett Hurd likely the captured the top spot at super welterweight in the Combat Press Boxing Rankings with a thrilling victory over former WBA and IBO titleholder Erislandy Lara in Las Vegas on Saturday night. Lara held onto the spot as the top 154-pound boxer in the world. However, Hurd added the WBA and IBO world titles to his IBF belt and remains undefeated through 22 outings. As for what lies ahead, WBC world champion Jermell Charlo is scheduled to fight against a yet-to-be-announced opponent in June and top-10 super middleweights Sadam Ali and Liam Smith are set to clash for the WBO world title. However, a more realistic match-up for Hurd would come against Julian Williams, who defeated Nathaniel Gallimore on the undercard. Williams has now won 25 of 26 bouts, with his only loss coming against the aforementioned Charlo in 2016. James DeGale exacted his revenge on Caleb Truax to regain the IBF world super middleweight title he lost to Truax in his last bout. DeGale took the unanimous-decision victory after dropping a close, majority decision in their first meeting. It’s unclear what’s next for DeGale, but he’s one of the best in the division following his 24th win. Floyd Mayweather Jr. used his platform on Showtime to promote a potential move to the Octagon. Translation, he’s blowing smoke to keep his name in the headlines. Never say never, but the obstacles in the way of this fight weigh heavily on the side of it not happening.